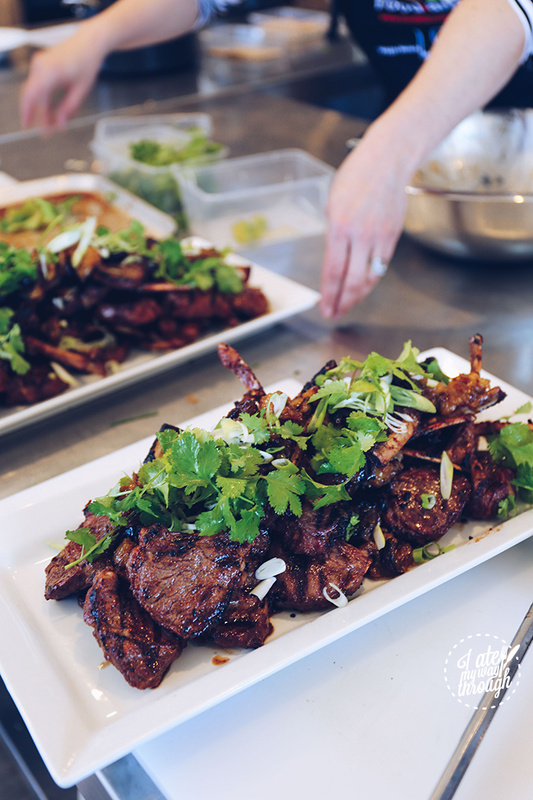 I recently attended an Asian barbecue themed cooking class at Food I Am as part of Taste Riverina. 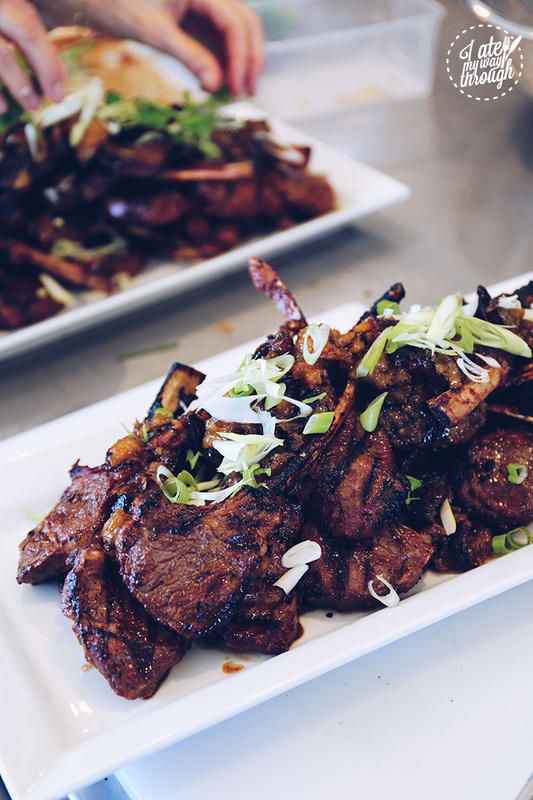 With the upcoming festivities of Lunar New Year so close to Australia Day this year, I couldn’t think of a better recipe to share than these lamb cutlets, a BBQ must-have, with a twist — being the use of Chinese fermented red bean curd. 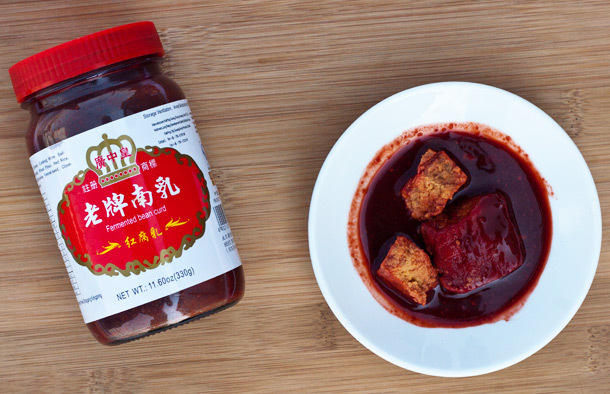 Fermented bean curd has a distinct funk to it that can be likened to blue cheese, which is why it’s often referred to as ‘Chinese cheese’. Made of dried tofu that is soaked in a brine of rice wine, vinegar, chilli peppers or sesame oil, a little can go a long way. The red version gets its hue from red yeast rice and the salty, deep flavours lend an amazing umami taste to whatever it touches. I grew up with fermented bean curd as a condiment to congee (rice porridge) or tossed through vegetables in a Buddha’s Delight dish. Fried chicken wings that have been marinated in nam yue (fermented red bean curd) was another dinner-table favourite that my Mum would cook up. 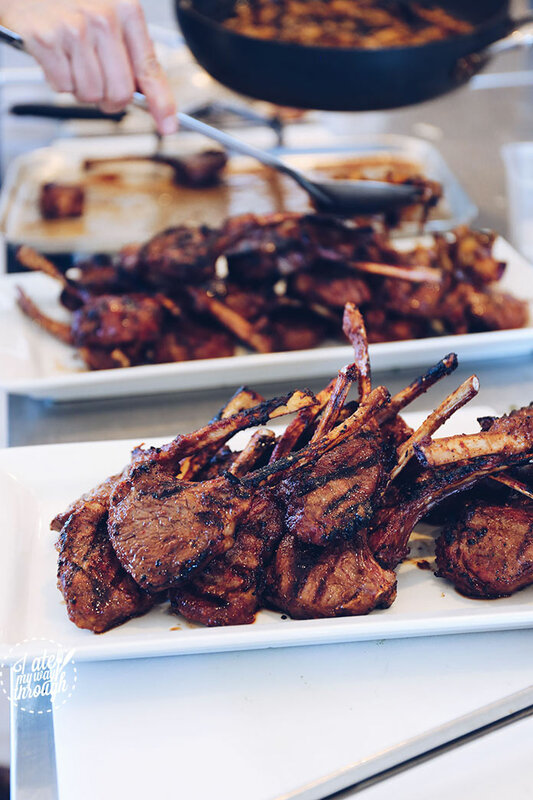 Lamb cutlets are pretty unbeatable as a protein on the BBQ and this marinade definitely takes it to another level. The tender earthiness of the eggplant relish can be used to spruce up anything. 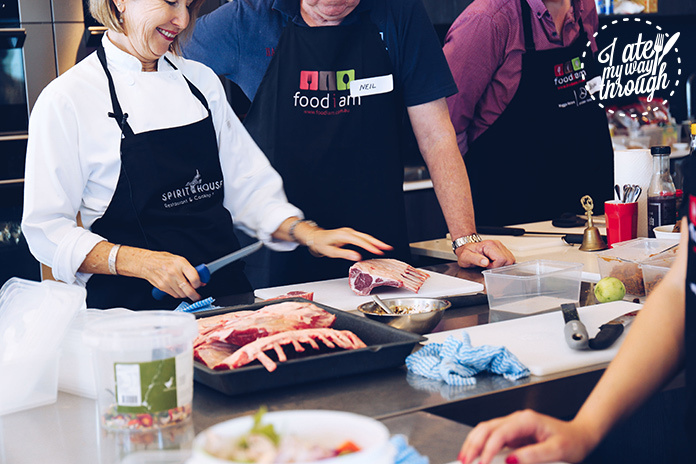 Special thanks to Tania of Food I Am (check out their cooking classes if you’re ever in the Wagga area!) and Annette of Spirit House for allowing me to share this recipe with you. 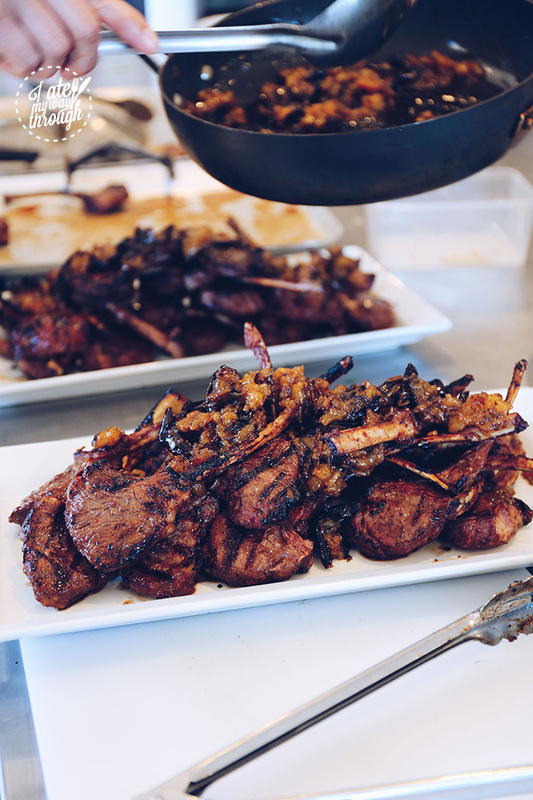 Combine all the marinade ingredients in a large bowl and add the lamb cutlets, tossing well to coat with the marinade. Marinate for at least 2 hours or overnight if possible. 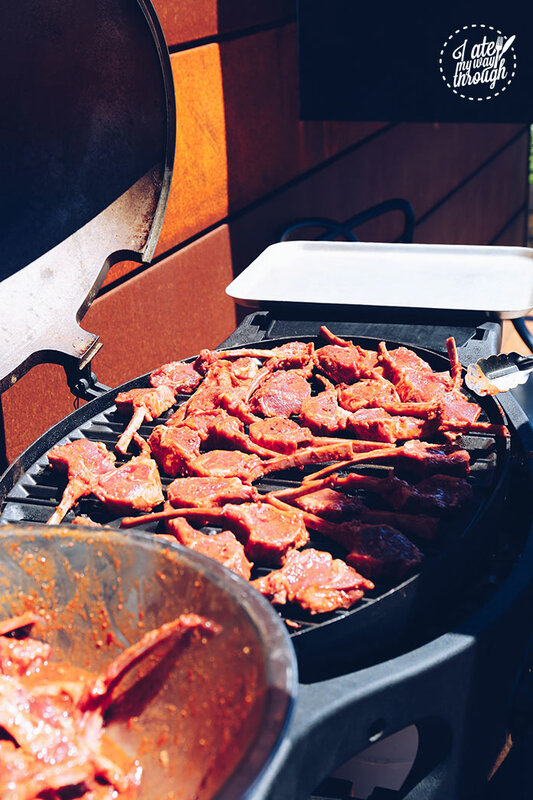 Heat the barbecue to medium and grill the cutlets to medium rare, about 5 minutes or as preferred. Transfer to a serving platter and serve with the Eggplant Relish. Cut the eggplant into 2cm slices and sprinkle with the salt. Set aside for 20 minutes. Pat the eggplant dry with a paper towel. Heat the oil in a large heavy based frying pan and cook the eggplant in batches until well browned and soft, transferring the cooked slices to a bowl. After all the eggplant has been cooked, lower the heat and fry the curry paste for a few minutes before adding the sugar and vinegar. Bring to the boil and cook until syrupy before adding the cooked eggplant slices. Stir the eggplant into the syrup along with the coriander leaves, breaking the eggplant up a little without turning it to mush. Transfer to a serving bowl. 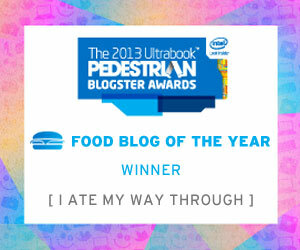 Your photos made me hungry just looking at them! I will have to try this recipe sometime. Tefal’s Triply Range + Guillaume Brahimi’s recipe for Nougat Glacé Crepes!